I would love it if these designs received some serious consideration, Ubuntu appears to be just content to settle for the poor and unattractive orange designs. Whilst the current Ubuntu designs have worked until now, if we want to extent the appeal a real rethink and transformation needs to be undertaken. I will add commentaries to each design in due course. Stand by! I think this is excellent, i love the sense of the mystical in it and it fits very well with ubuntu, i certainly prefer this type of wallpaper to the purely algorythmical vistaish sort that has become popular recently (like the gutsy default). however there are two problems, firstly you need to get rid of the ubuntu logo, i dont think it goes with the paper (it sort of sits in too a arbitrary position and its colour contrast clashes with the rest of the wallpaper) and i personally dislike ubuntu logos on wallpapers on principle (unless subtle i.e the birth of ubuntu paper which was awesome) secondly i dont think the ibex logo has been merged with the backround perfectly and at the moment has an annoying gey splodgy outline. if you address these two problems i think it will be a really great wall paper and better i think perhaps that the hardy one and certainly better than the gutsy one. I love the contrast and I love the black icon. 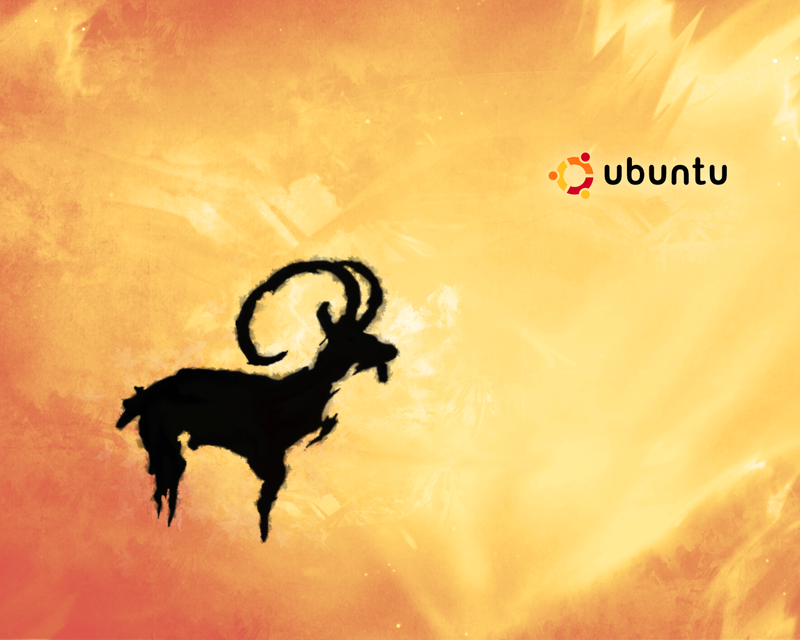 Not a lot of complaints besides the lack of flow between the Ibex and the Ubuntu logo. 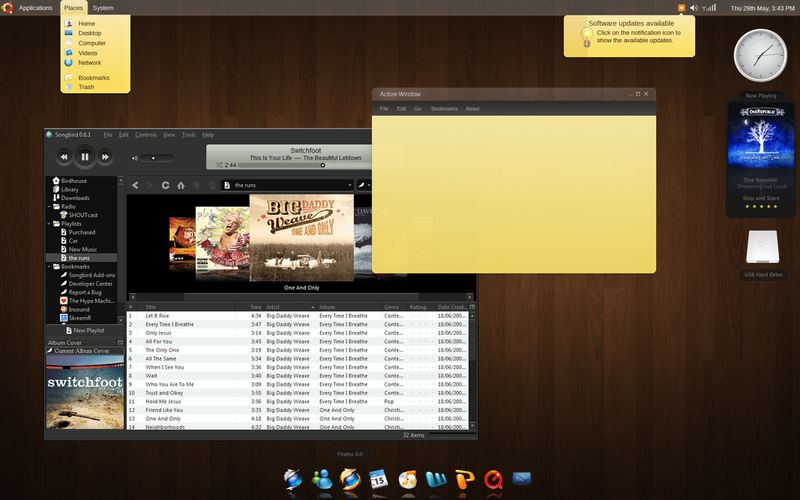 That being said, please don't place the Ubuntu logo inside the Ibex, that just looks cheesy. I'm really digging the theme, and I think that it would work great if people could customize the theme to their liking in the settings alá Clearlooks. Gets my vote! Amazing, absolutely amazing. Keep up the great work! I love it! It is beautiful, and most of it actually can be done. 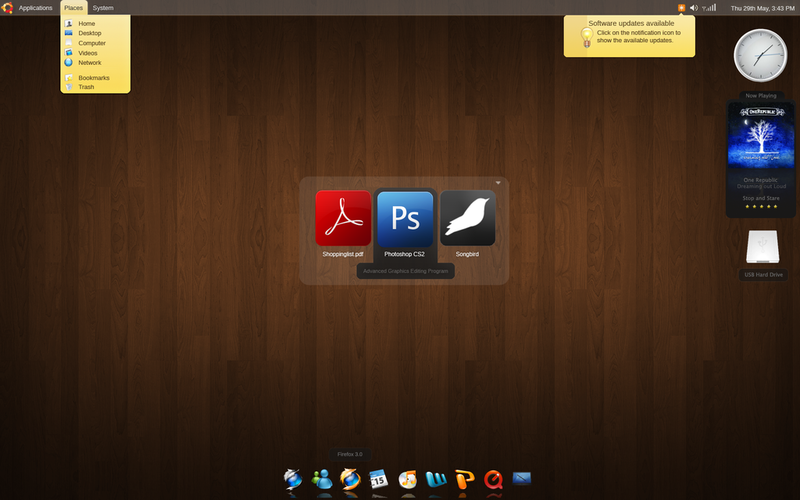 Maybe the dock should be less OSX-like, but other than that, this is the first theme I would use as-is. 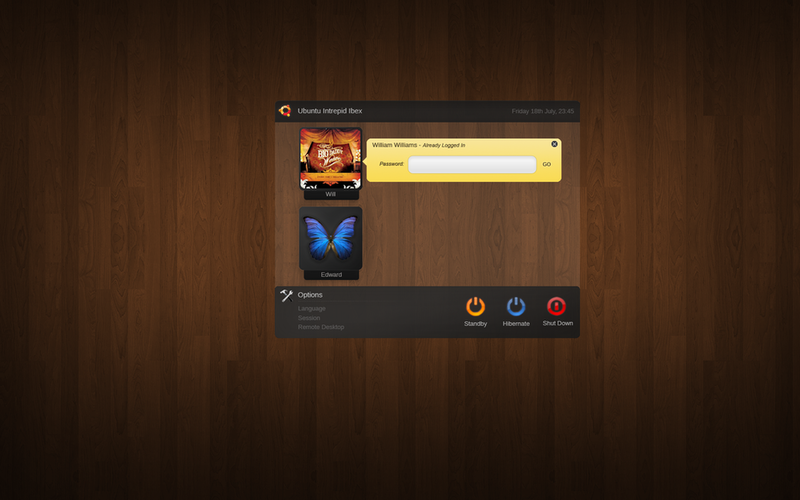 Ubuntu should settle to this minimalist style, and even though the mock-ups could not be replicated 100%, here's the direction Ubuntu should take. I simply love it!